Consumer financing has picked up after four years. However, banks are focused on a few segments where lending is easier and highly rewarding. Car financing and leasing of household electronics are preferred by banks. However, housing finance, where lending can fetch much larger business, saw a declining trend, and so did credit cards. Bankers say that the opportunity to finance purchase of imported cars, on which tax rates were lowered last year, created greater activity in the area. And a rise in demand for household electronics, particularly laptops, tablets, LED TV screens, trendy and big washing machines and refrigerators, led to increased consumer lending to individuals and companies that sought bank leasing for these appliances. Banks reported net car financing of Rs5.4 billion in FY13; a reversal of the FY12 trend, when it had seen a net retirement of more than Rs5.8 billion. Banks� fresh financing for local cars cannot be ascertained, as car financing figures do not bifurcate financing for local and imported vehicles. 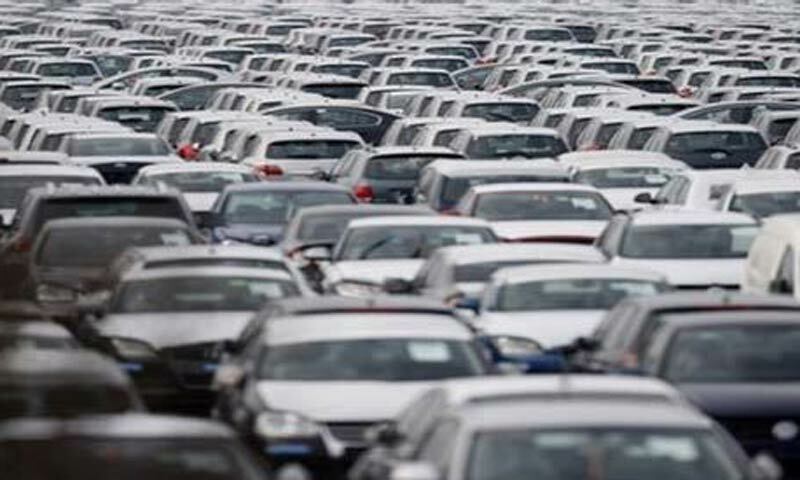 But bankers say it was very nominal, as local car sales saw a decline of 24 per cent in FY13 due to suspension of CNG kits, discontinuation of manufacturing of two specific four-wheeler models, and a general rise in prices. According to State Bank of Pakistan (SBP) statistics, banks� fresh financing for �consumer durables� witnessed an impressive increase of Rs11 billion in FY13. This also signaled a change for the better, as in FY12, this type of financing had seen a net retirement of about a billion rupees. Bankers say that the bulk of financing for �consumer durables� was in the shape of financing provided to corporate employees for laptops and tablets, and added that the Punjab government�s scheme for distributing laptops among deserving students and higher demand for financing purchase of three-wheeler, Chinese or local-made auto-rickshaws also had a positive impact. However, financing obtained for purchase of other household electronics also had a share in overall financing for consumer durables, but no segmented data is available. Though banks� loans for their employees are treated as a separate part of �personal finance,� (the other being consumer finance), there is no way for banks to check if loans given to employees are responsible for creating additional demand for consumer finance. Many bank employees who get such loans spend them on direct purchase of the goods and services they want, but a number of them also secure a consumer financing line for purchase of cars or household electronics and use personal bank loans to pay installments. In FY13, fresh loans for bank employees amounted to about Rs5.7 billion, up from about Rs3.9 billion in FY12. Consumer financing was progressing till FY08, but began to decline from FY09 after banks became cautious in lending to avoid risks as the global financial crisis and recession started to impact domestic economic growth. Combined consumer finance portfolio of all banks shrank by 18 per cent in FY09, 16.7 per cent in FY10, 11 per cent in FY11, and by six per cent in FY12, SBP statistics reveal. However, banks are now refocusing on consumer financing, primarily to check the rising percentage of non-performing loans. Bankers say they have realised over the last few years that squeezed consumer financing expands non-performing loans. �Reduced consumer financing actually results in slower receipts of payments in installments, and that leads to the categorisation of a part of the loans as non-performing,� explains the head of a local private bank. He and many other bankers admit that high rates of interest (ranging between 18 and 36 per cent, depending upon the type of consumer finance and the tenure of the lease), as well as difficult procedures and a general lack of enthusiasm among bankers for marketing consumer finance products on a wider scale have been stumbling blocks in the progress of this very promising section of banking. But they also point to the fact that consumer banking grows when the economy is on a high growth path. �Consumer banking made a debut here in 1990s and accelerated between FY2000 and FY2008, when average GDP growth was over five per cent. And more importantly, domestic demand for lifestyle changing goods was up,� recalls the head of consumer finance at a foreign bank. Now, after four years of 2-3 per cent GDP growth, the country is expecting a higher growth rate this year. Besides, higher income levels in rural areas and rapid influx of the rural population into towns and cities, combined with increased disposable incomes of some classes of urban people (including households that receive remittances from overseas Pakistanis), have set the stage for greater activity in consumer financing. Lack of investment in these areas makes it difficult for banks to satisfy their credit card holders, which is one basic reason for the decline in credit card financing. Automatic teller machines do not work properly or remain out of cash at times when cash is needed most, like on Eidul Fitr and Eidul Azha. Customers� complaints keep piling up but no real relief is provided to them, which discourages prospective credit card seekers. Lack of expertise in housing finance also shows through banks� tendency to cater to affluent applicants of only selected areas of big cities and towns, where they think loan recovery would not be a problem. But quite often, housing finance demand comes from thriving middle-income areas, and once those who need it are turned down by banks, they turn to informal sources of financing that are costlier but come in handy. Bankers say the prime reason for low or no growth in housing finance has been a general lack of demand, plus their inability to find professionally sound property value assessors. But above all, as banks are busy parking most of their funds in treasury bills and bonds, they generally ignore financing requirements of the private sector as a whole, of which consumer financing is a part.